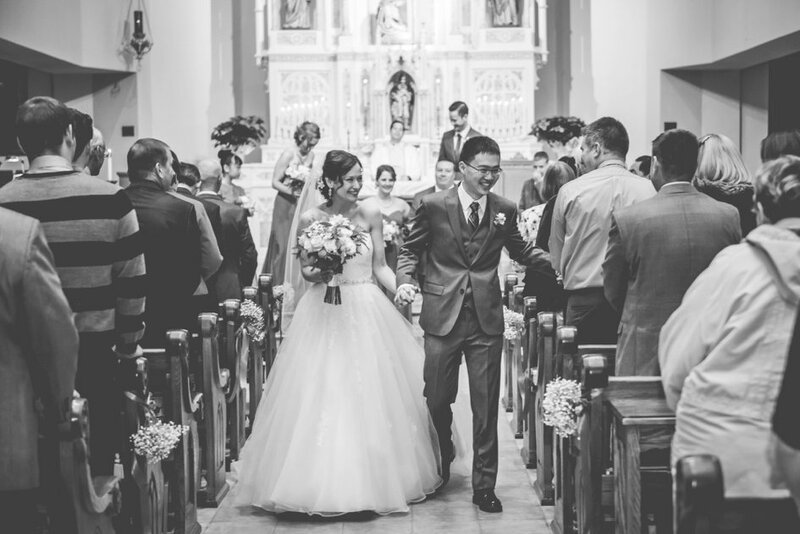 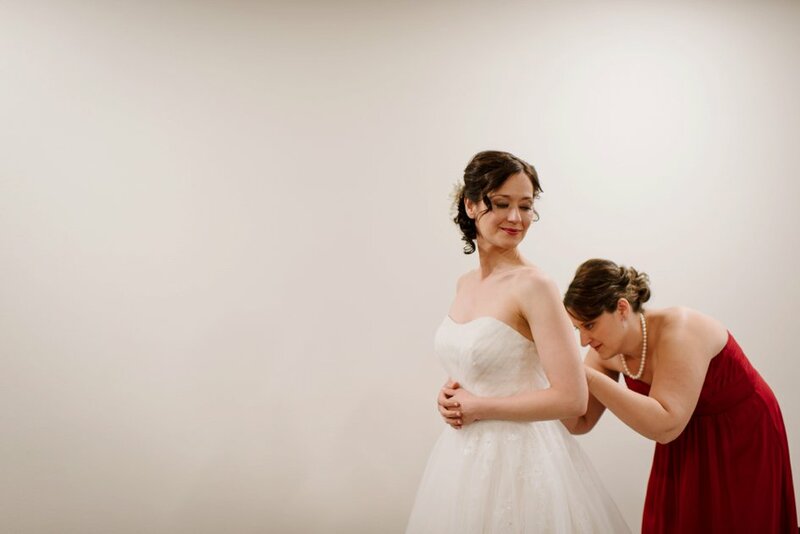 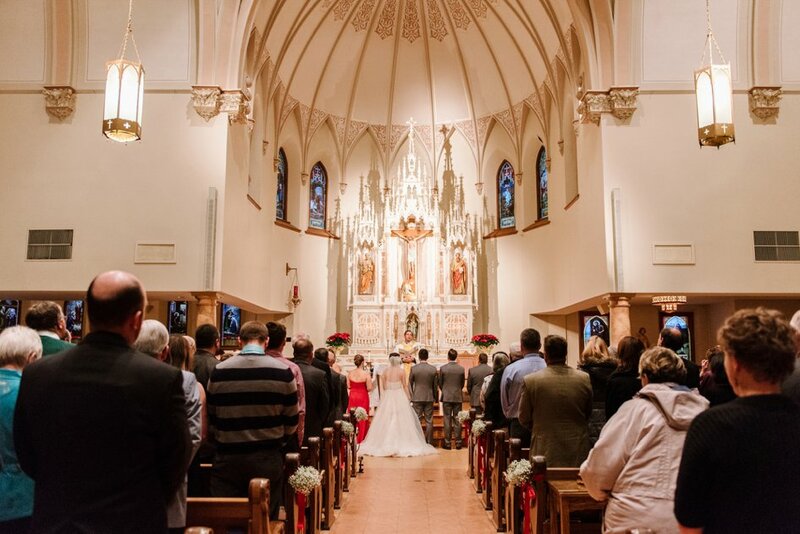 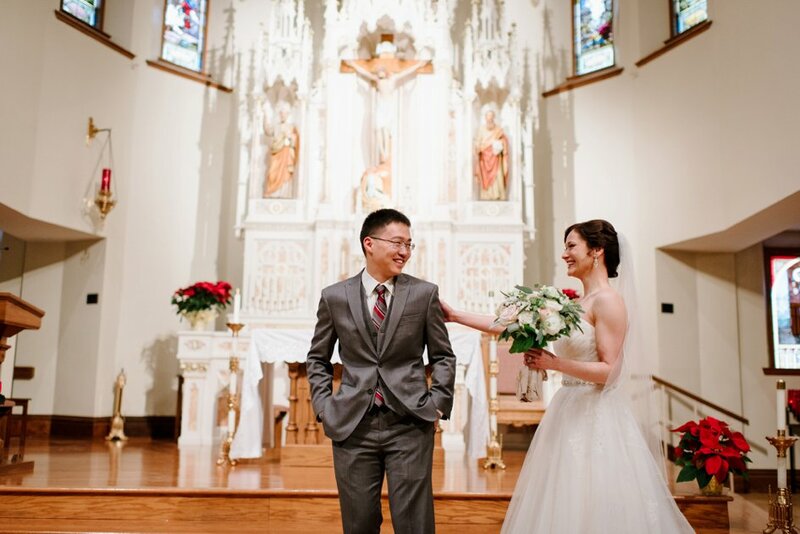 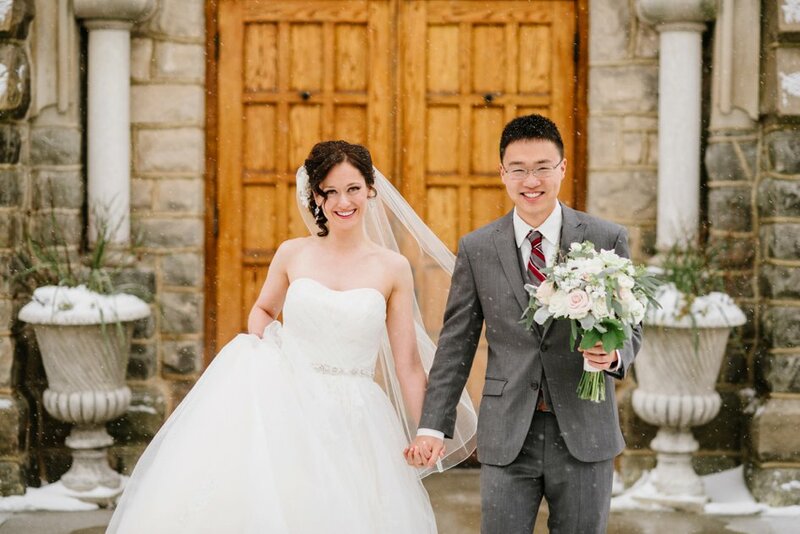 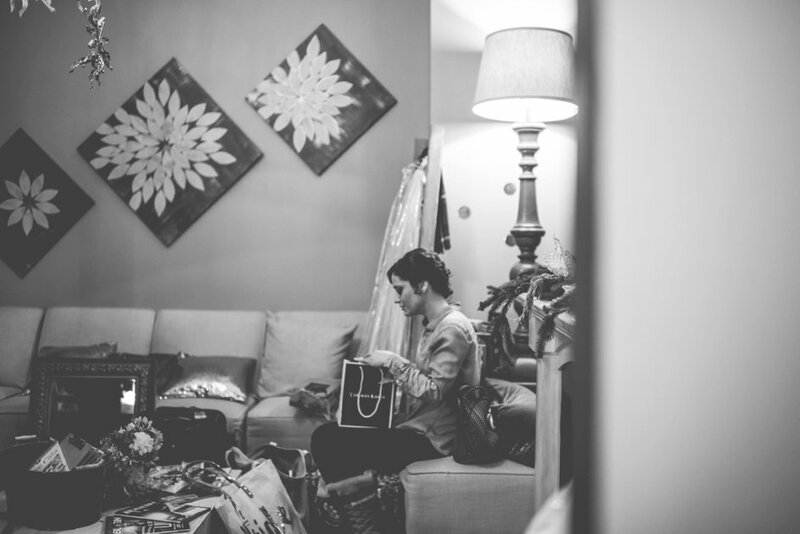 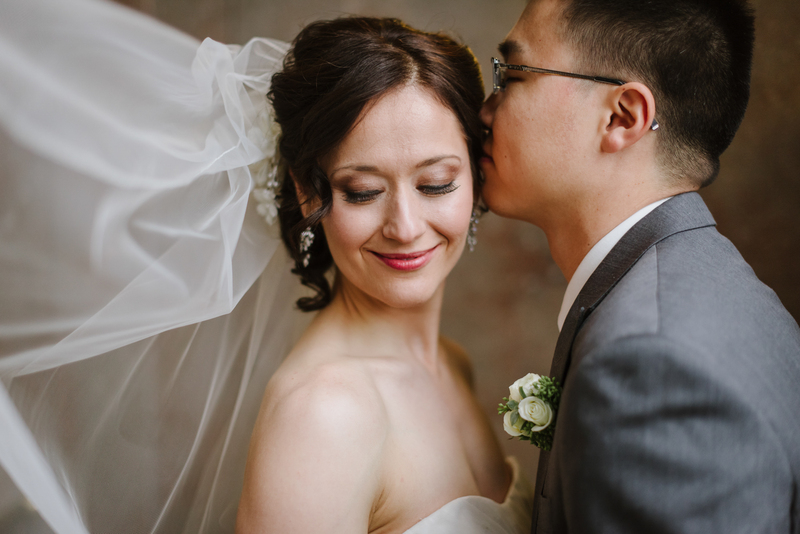 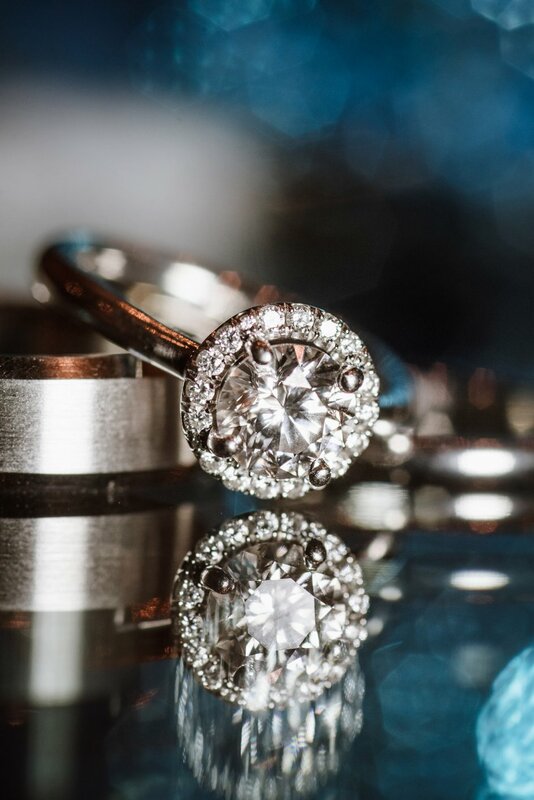 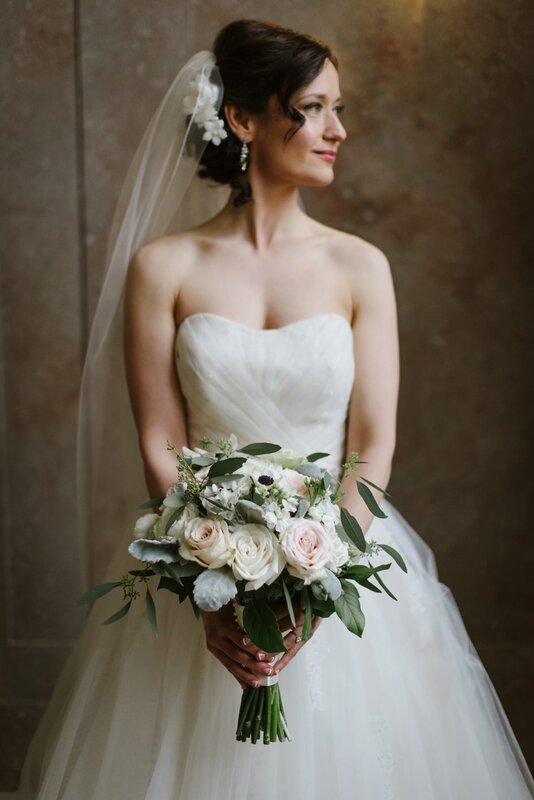 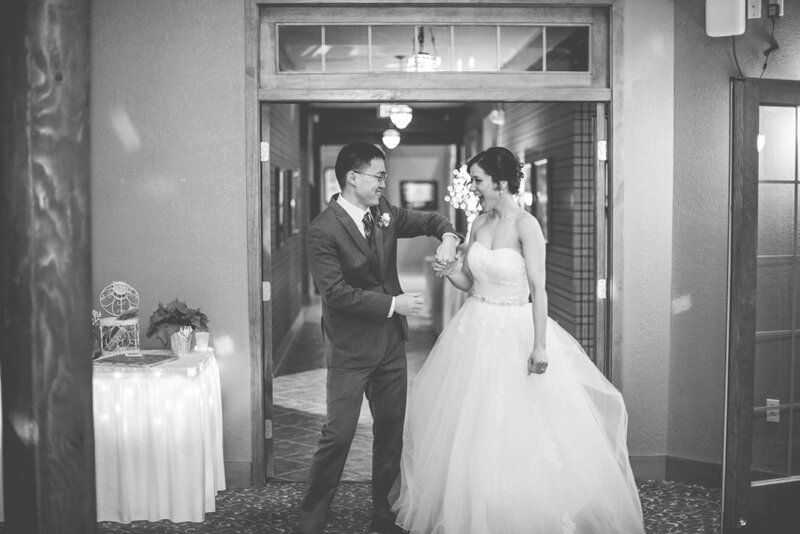 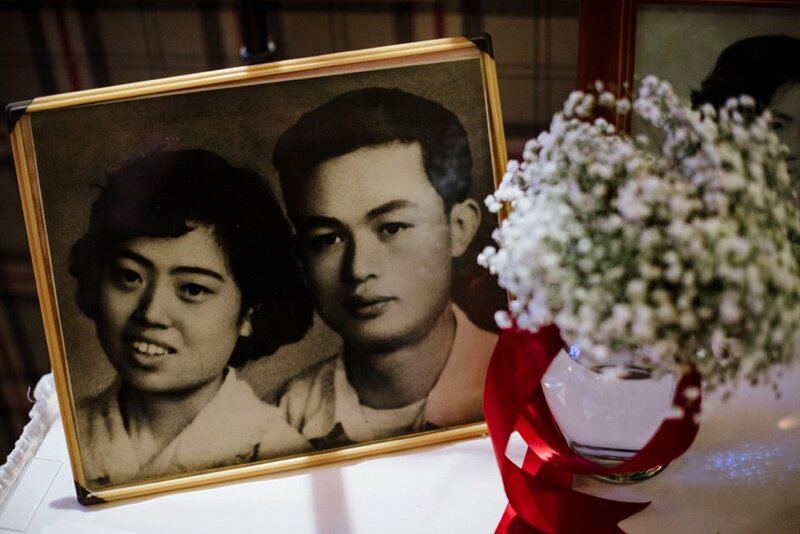 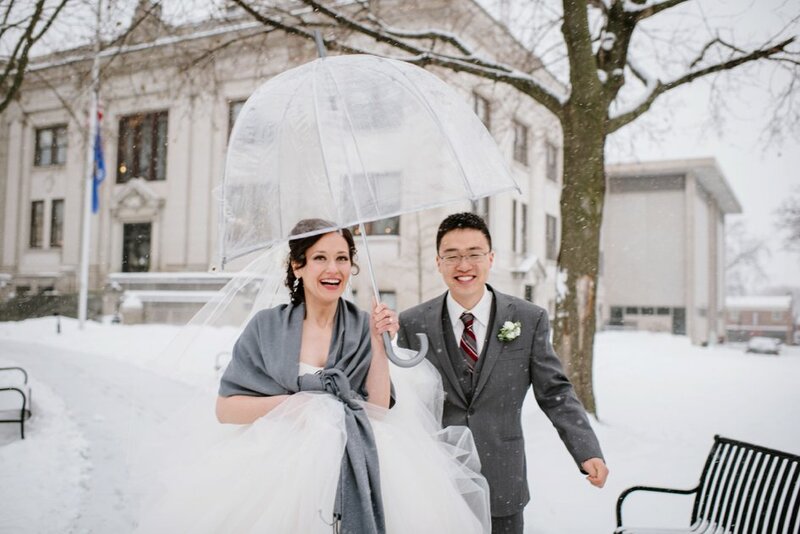 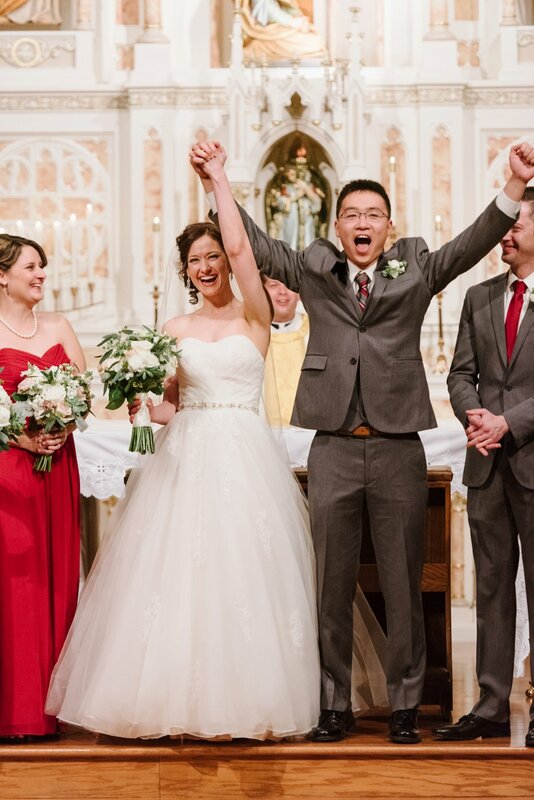 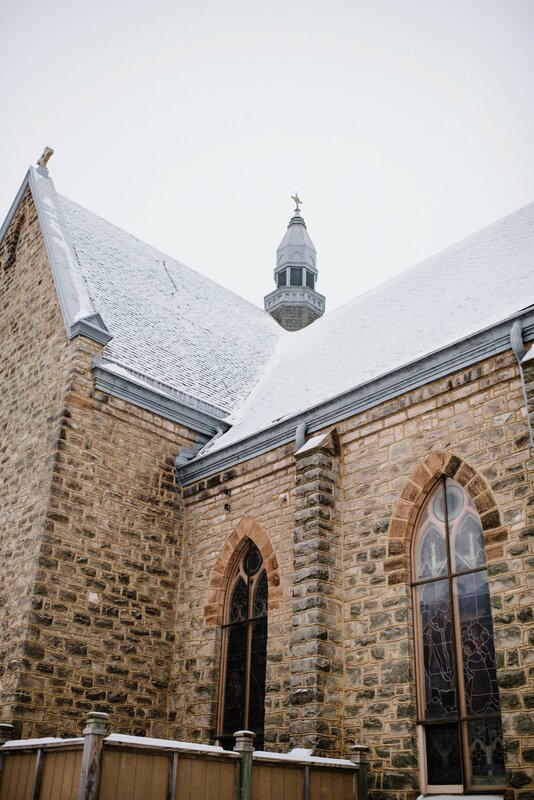 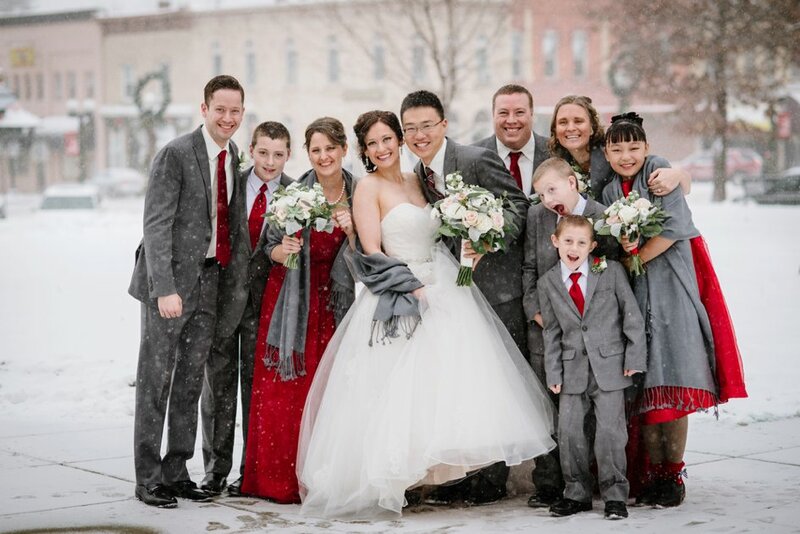 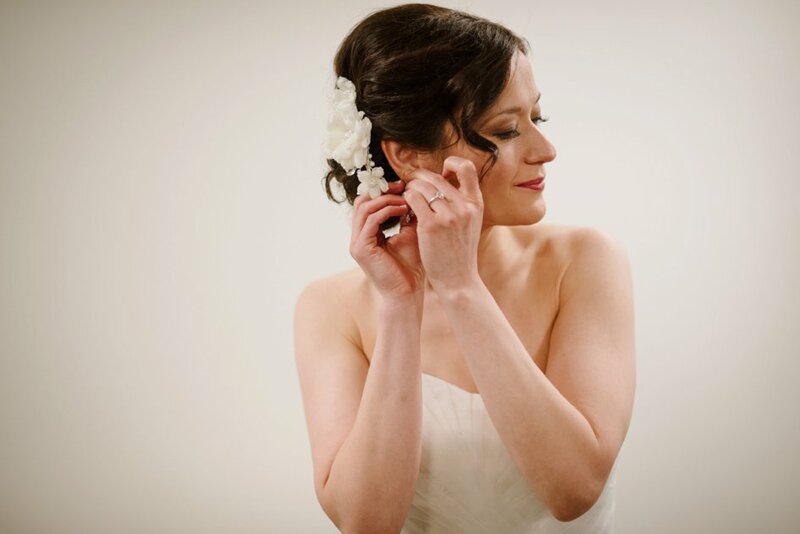 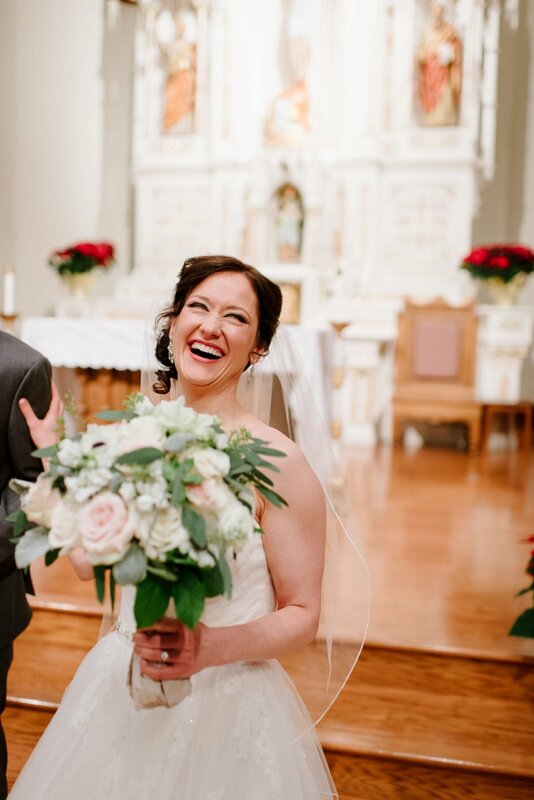 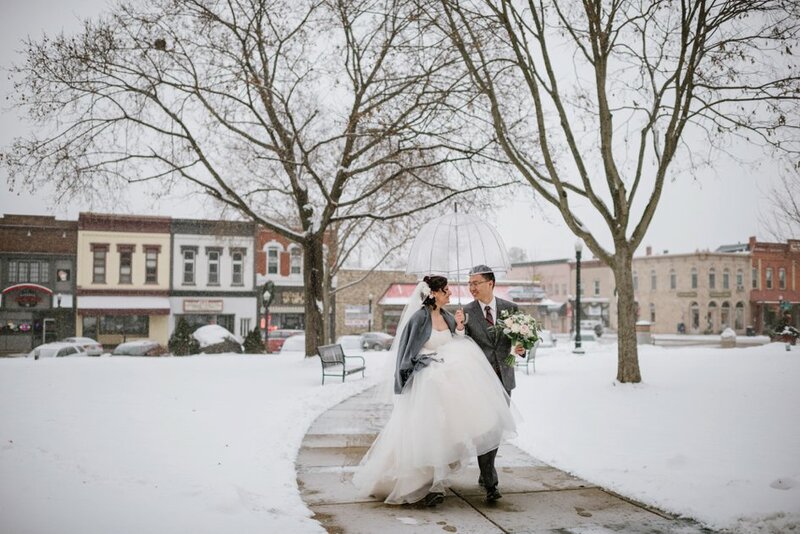 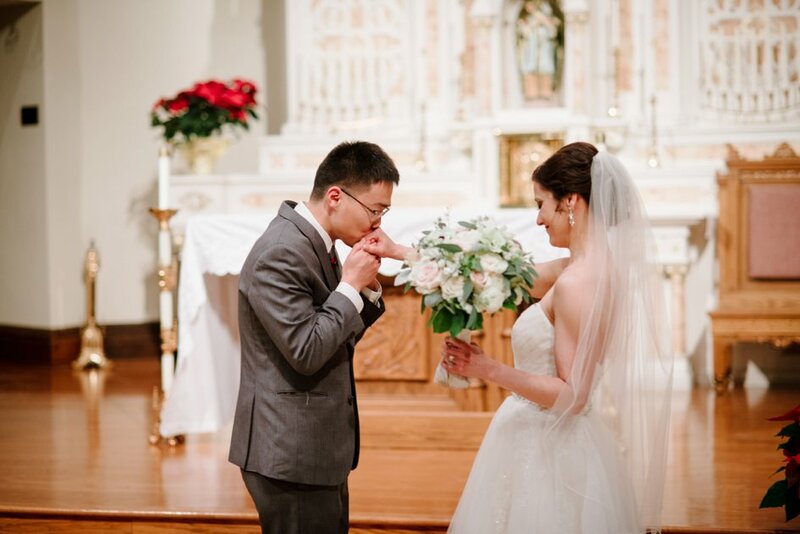 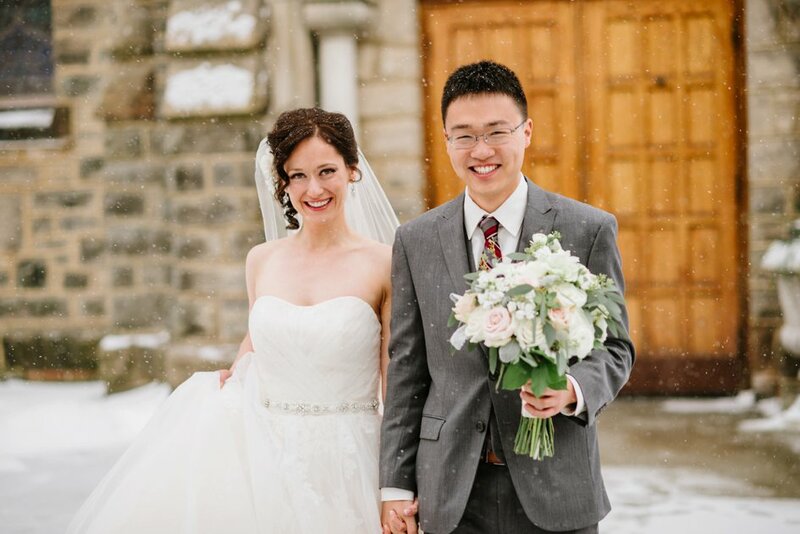 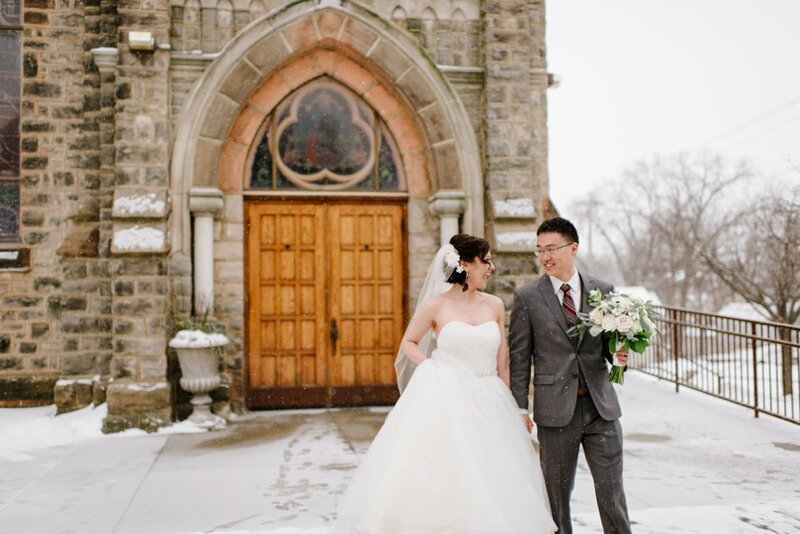 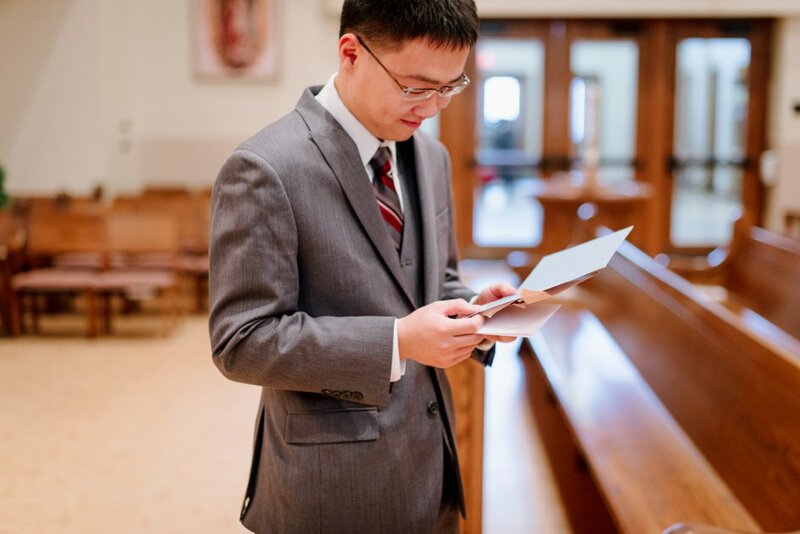 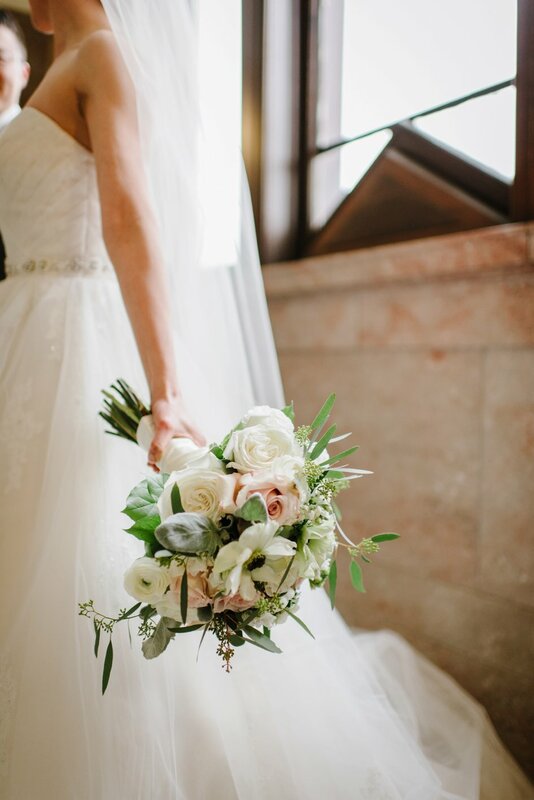 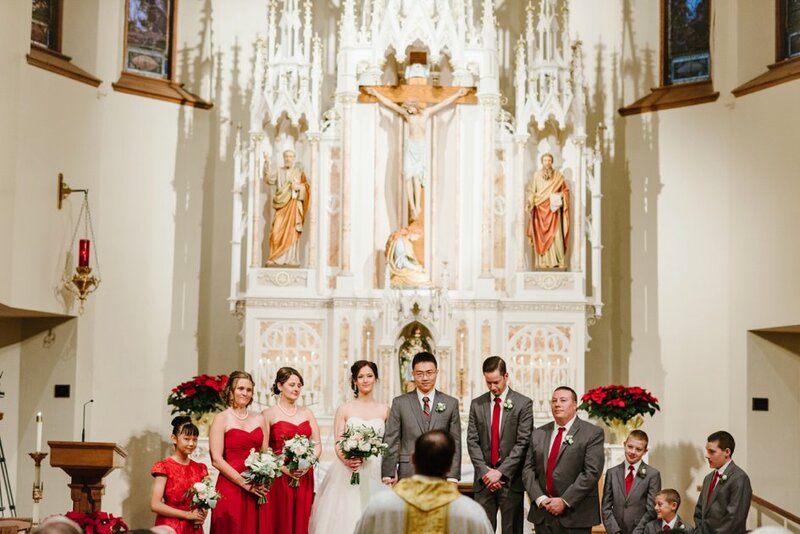 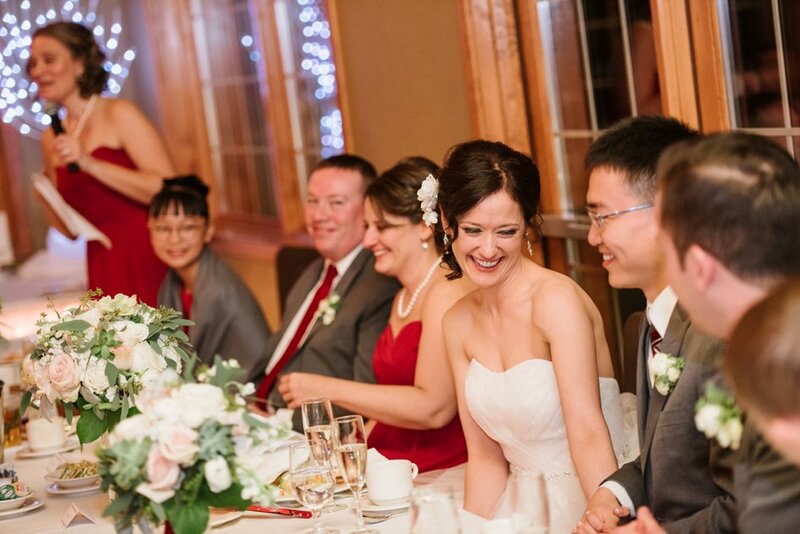 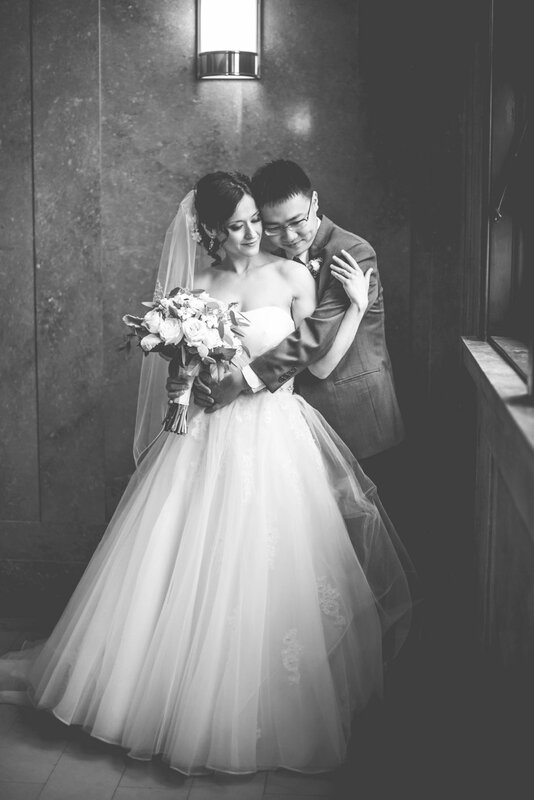 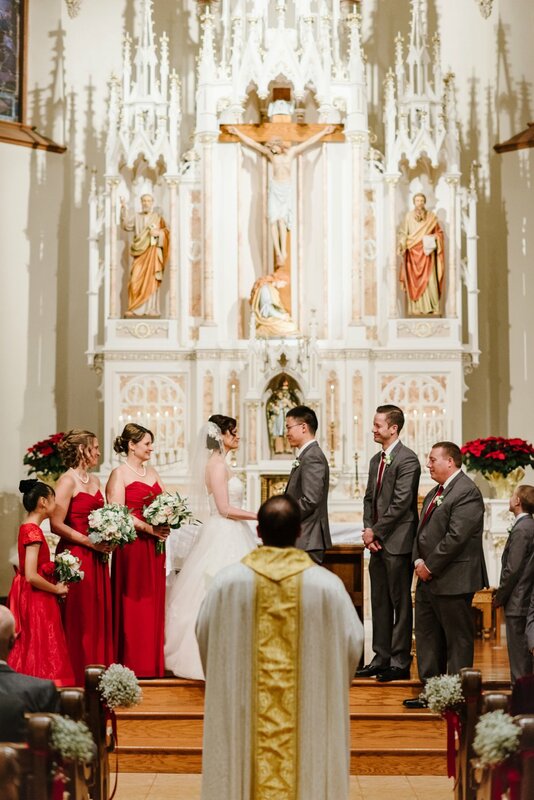 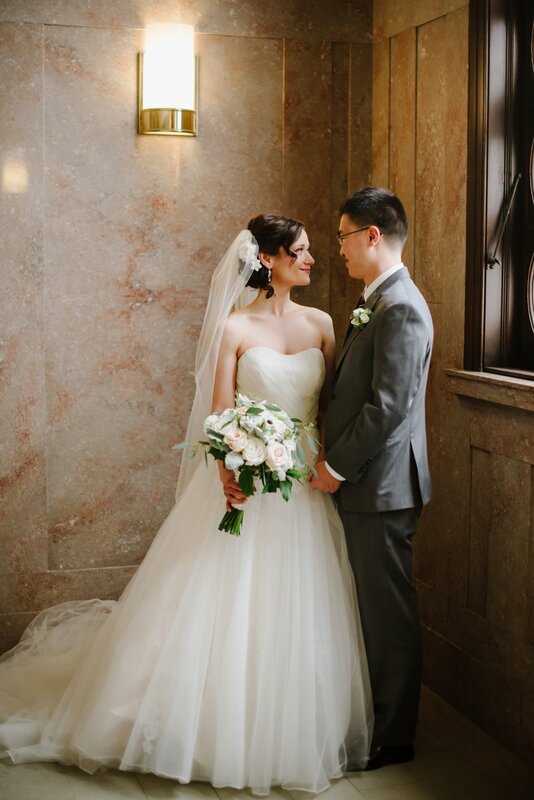 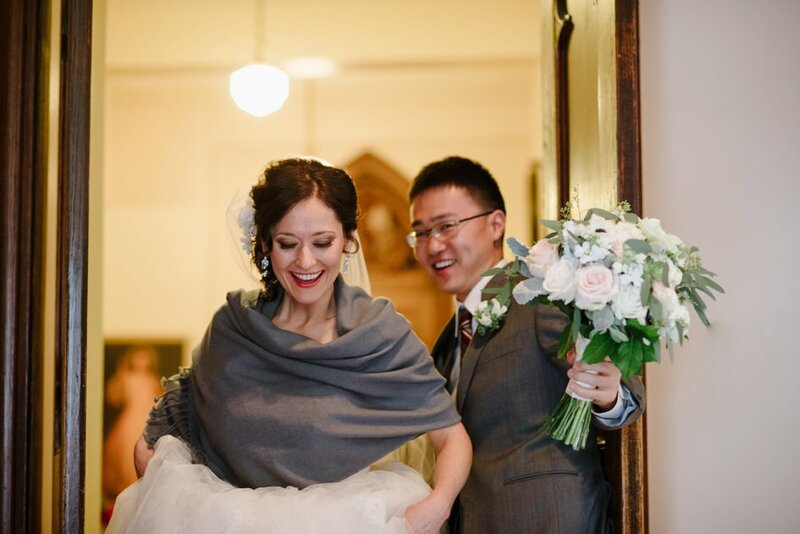 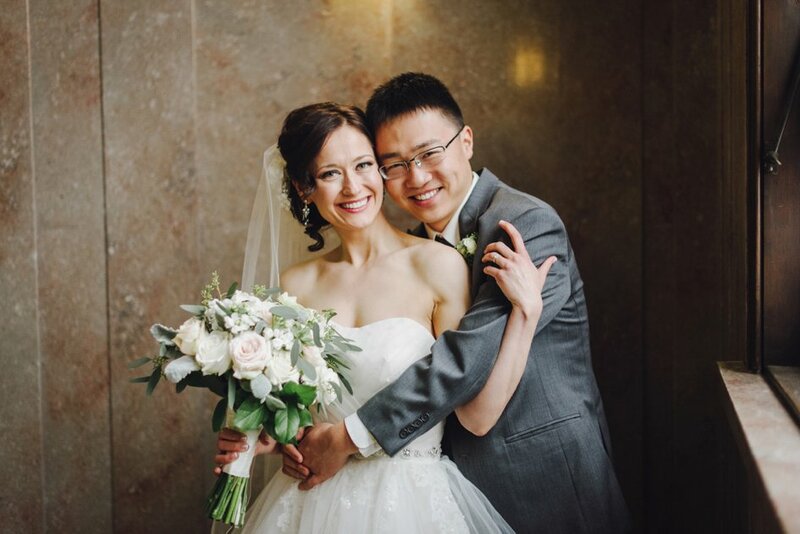 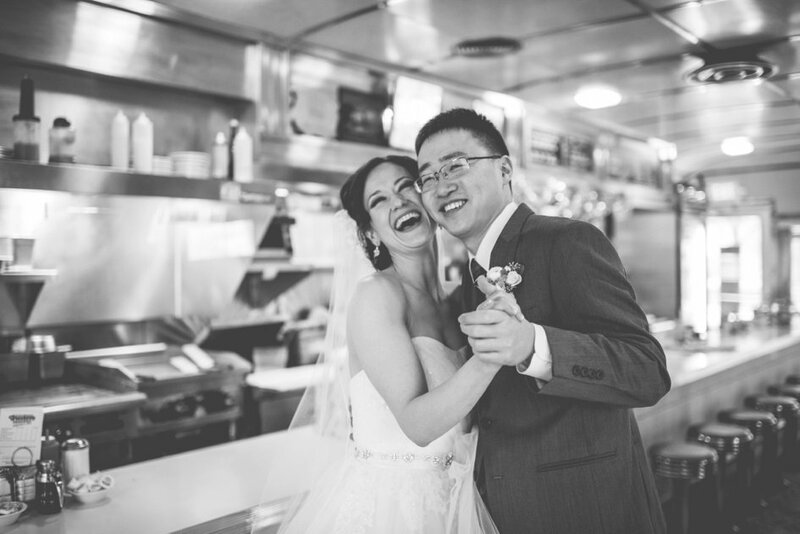 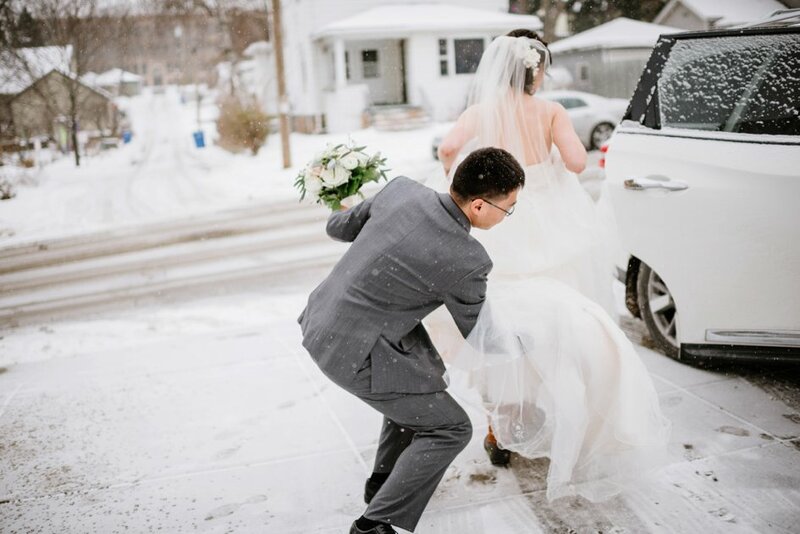 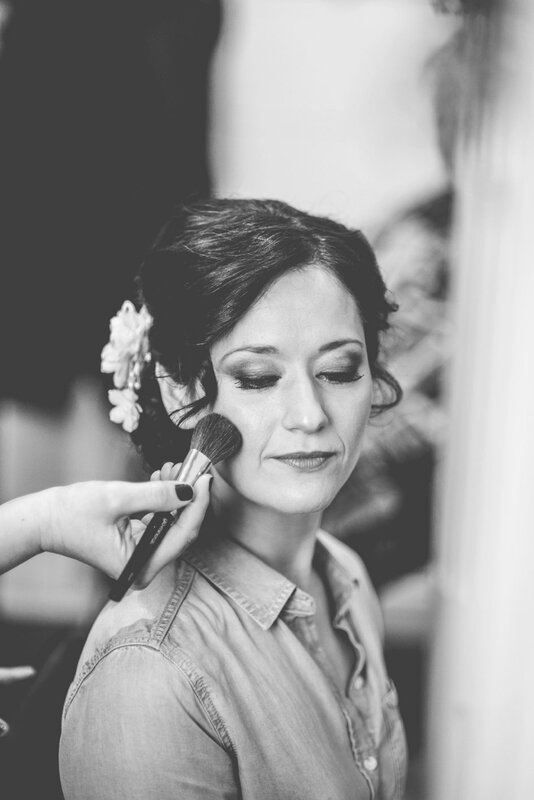 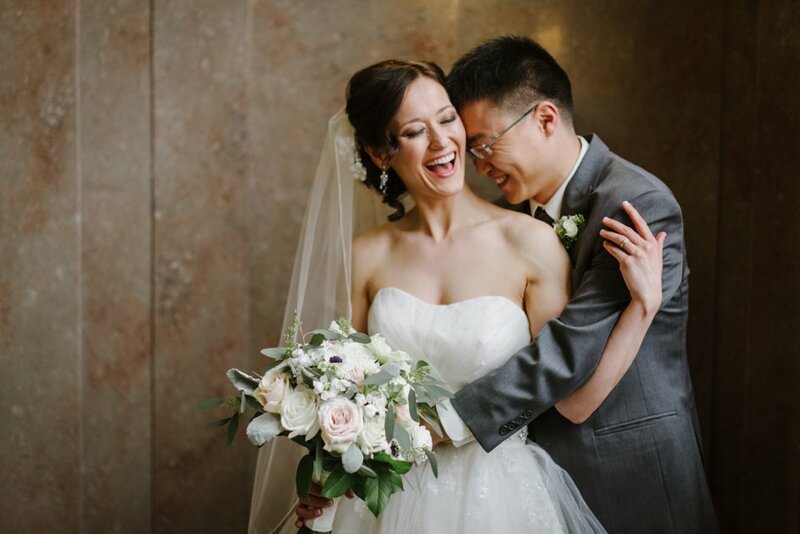 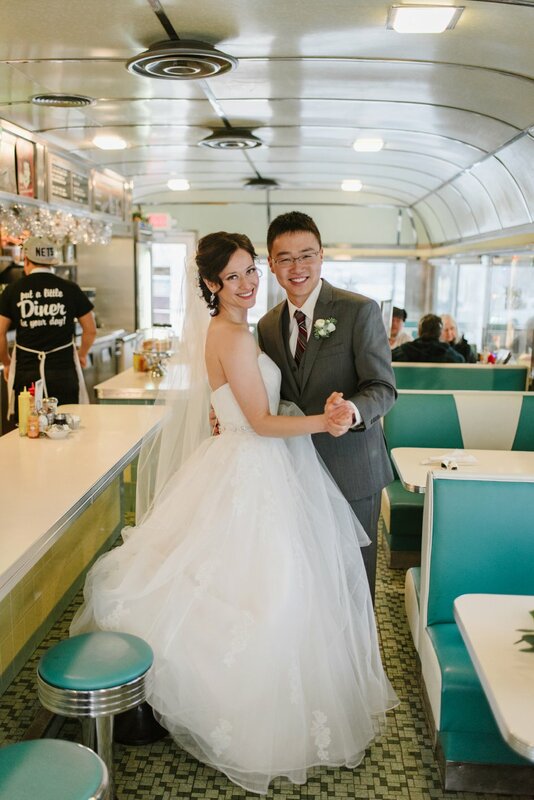 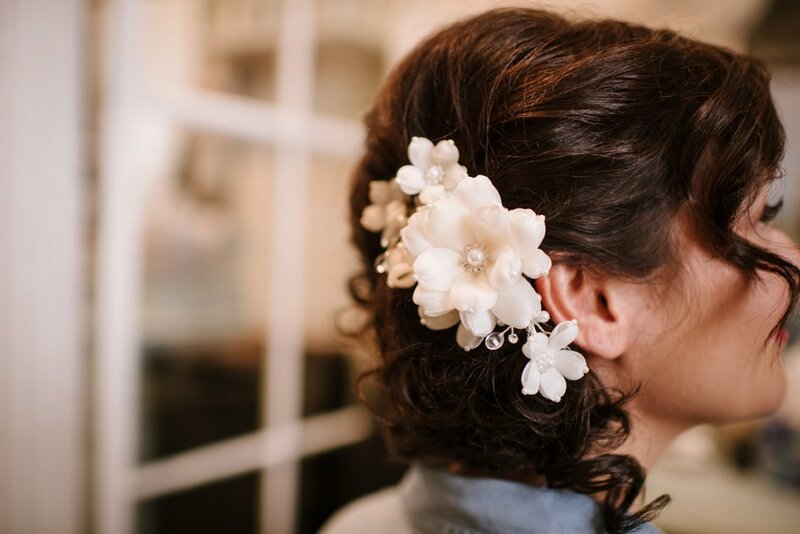 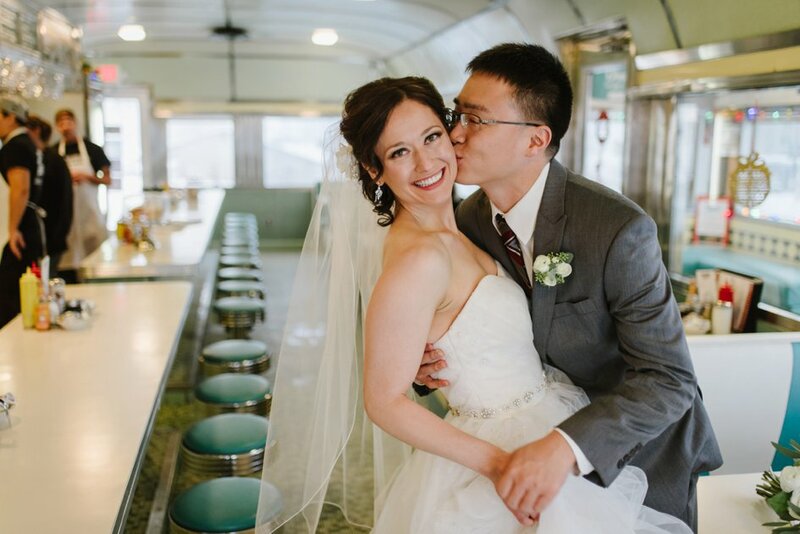 Sara and Bing were married on a crisp winter day at St. Joseph’s Catholic Church. 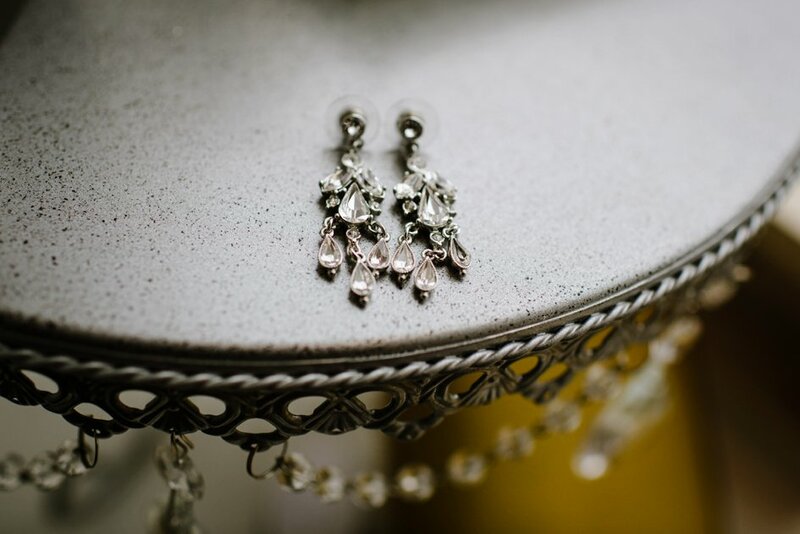 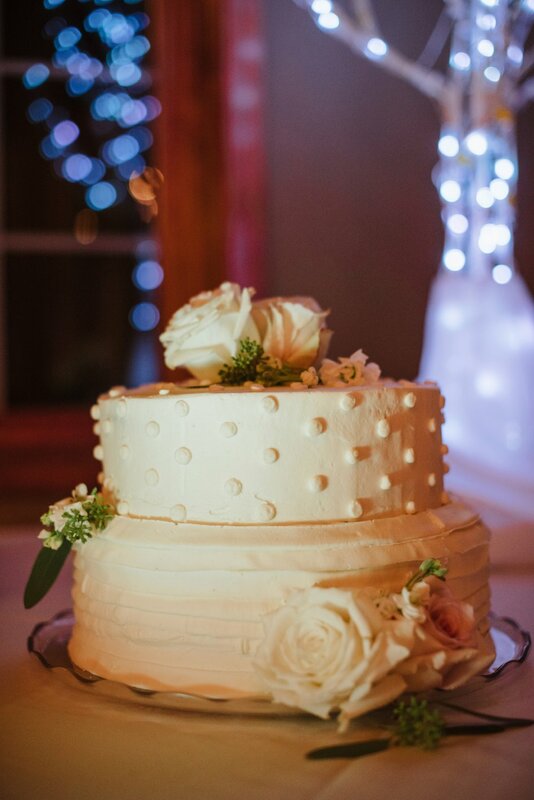 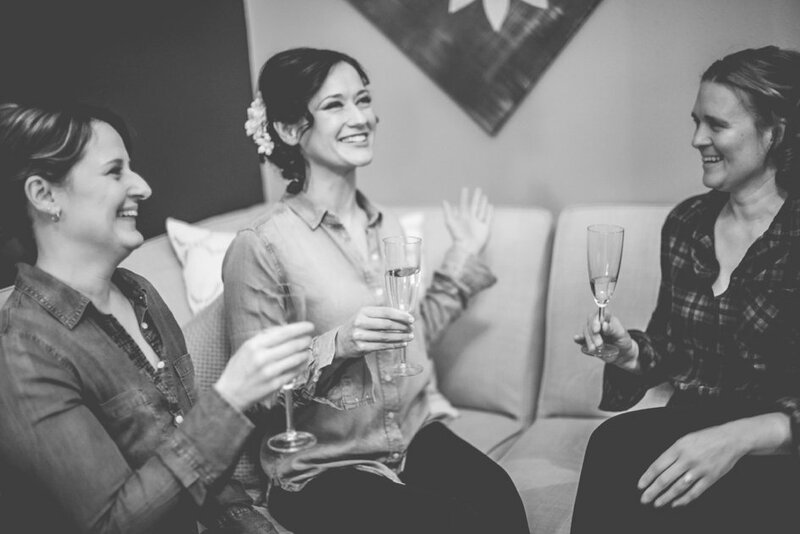 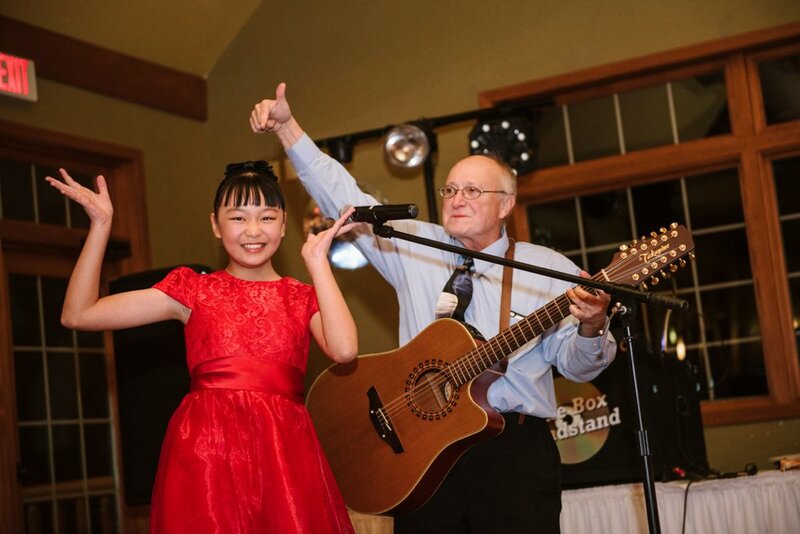 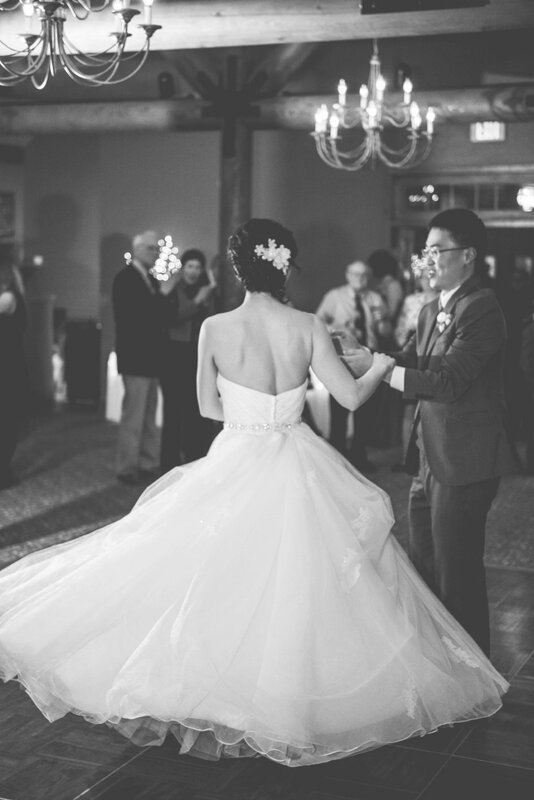 The wedding fell on the groom’s birthday, which brought a special touch to an already magical day. 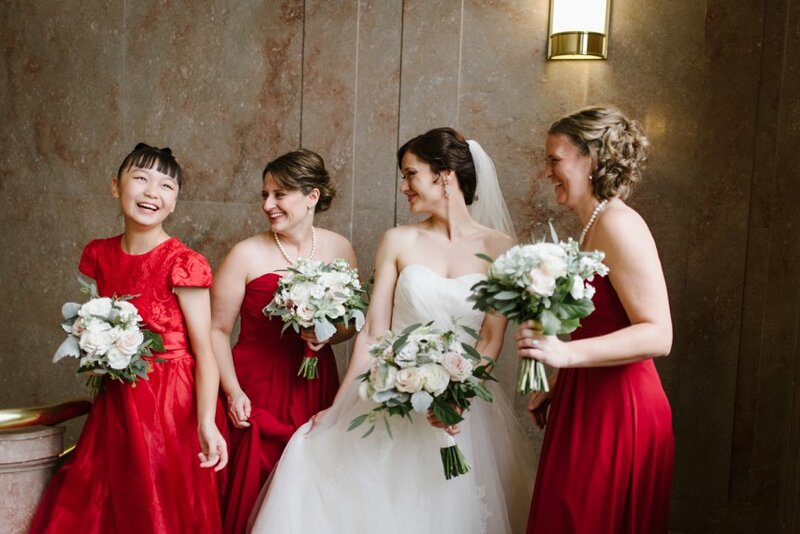 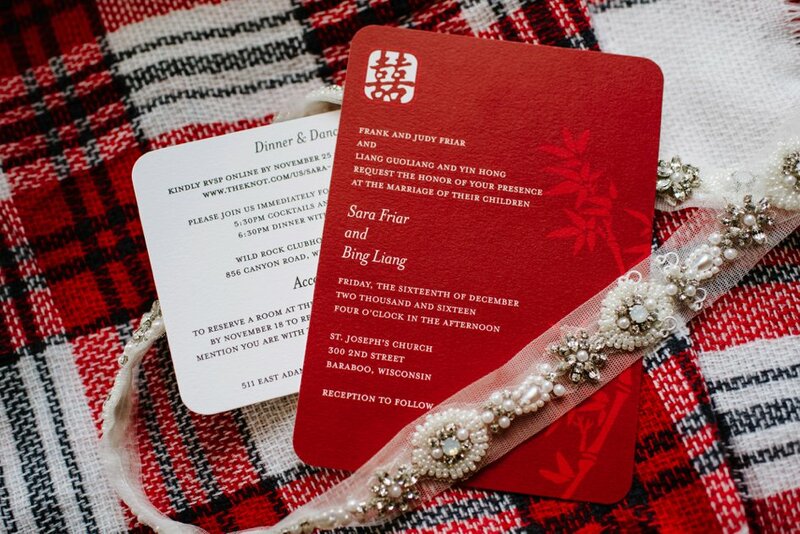 Sara chose pops of traditional Christmas colors for her bridesmaids and the decor: bright reds and greens, with sparkling white. 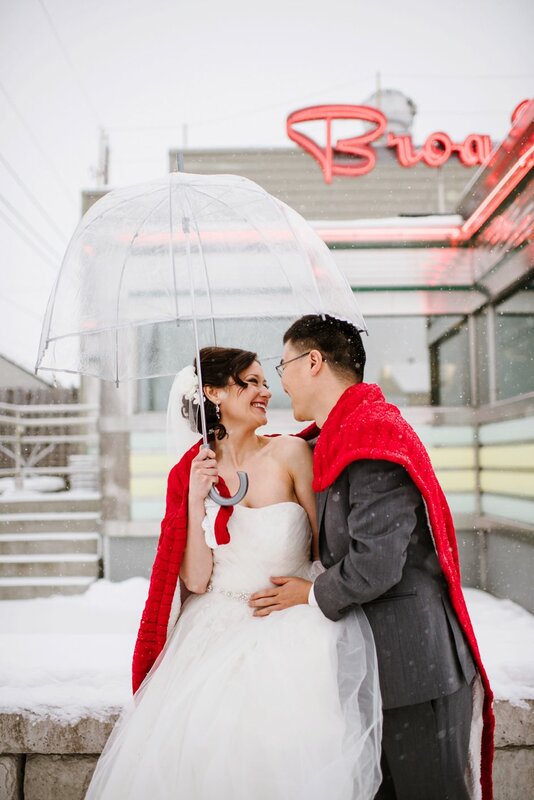 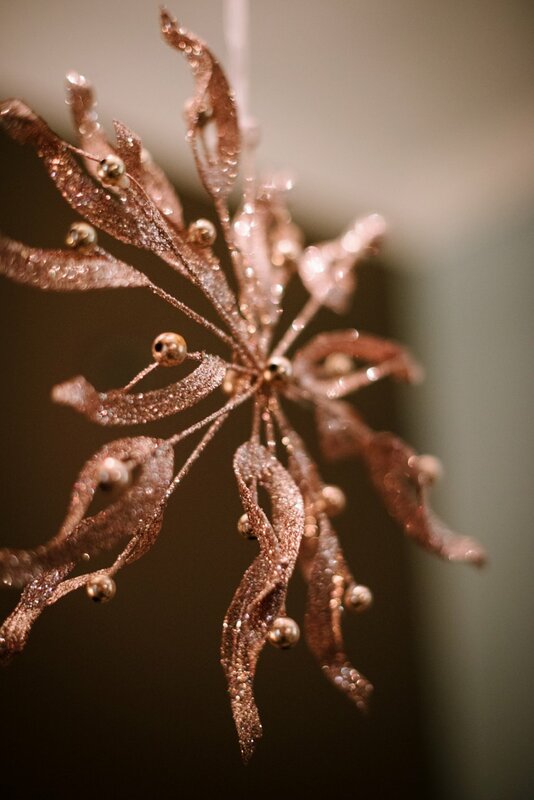 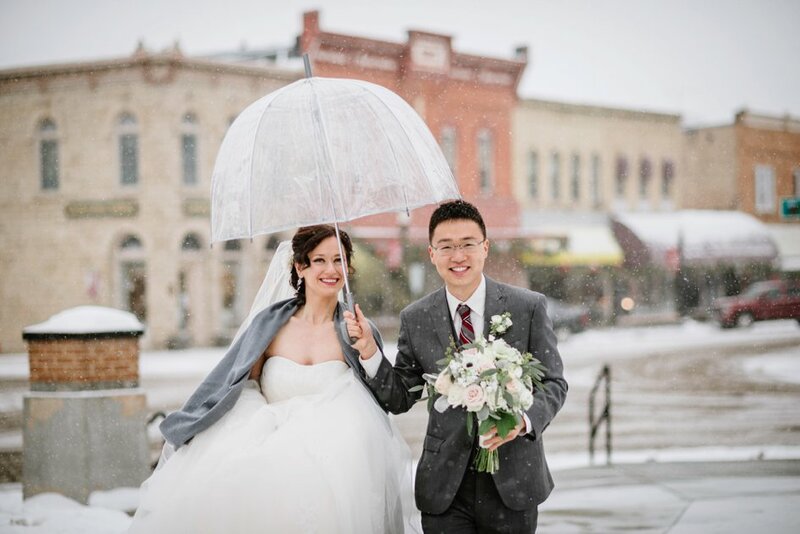 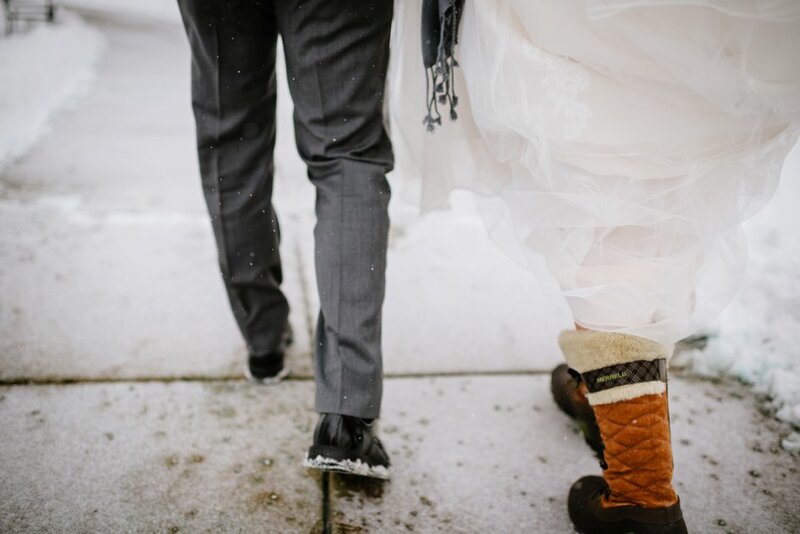 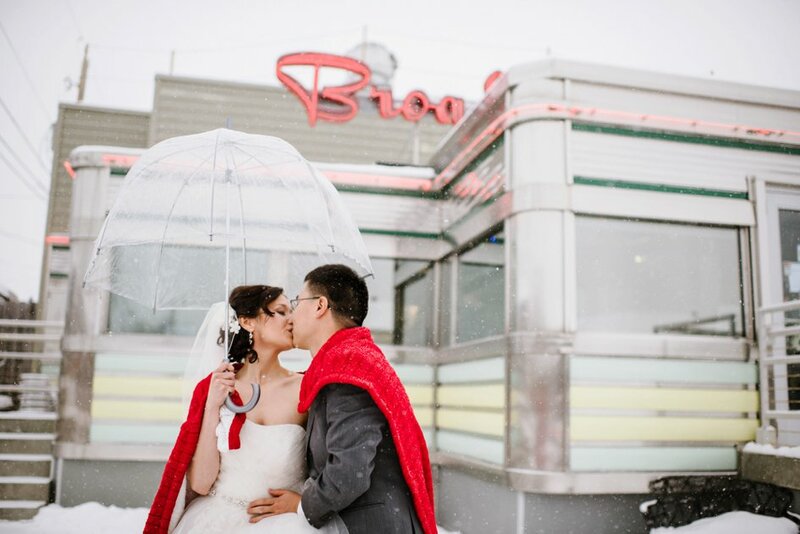 A romantic snowfall began mid-day, enveloping all at the wedding with love and warmth. 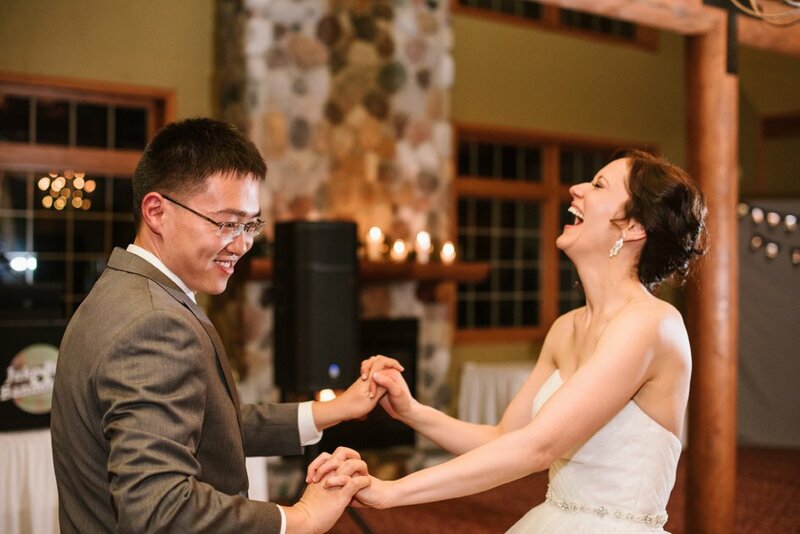 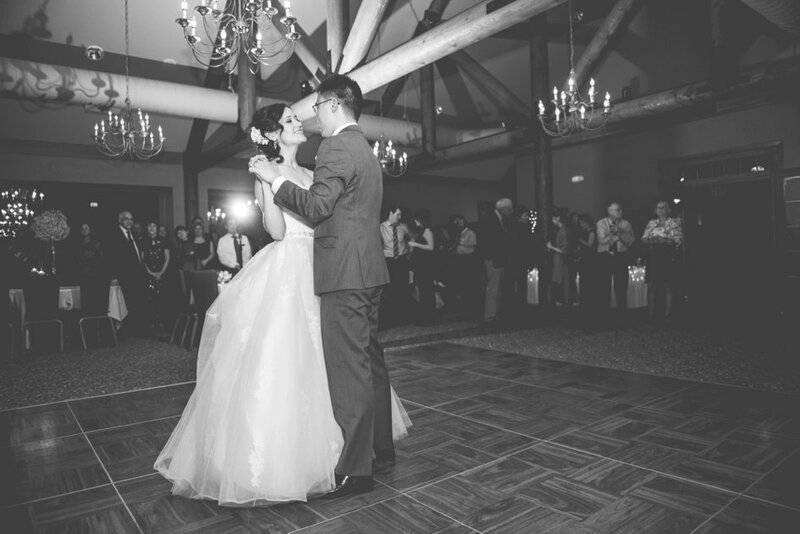 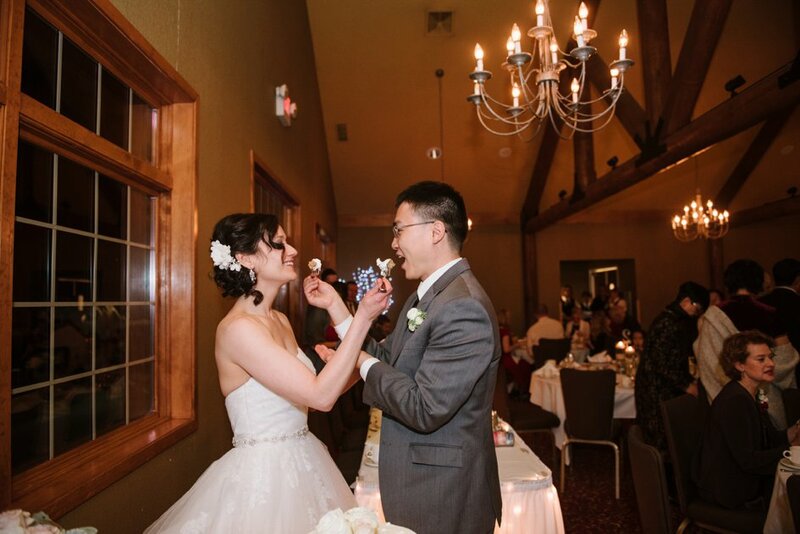 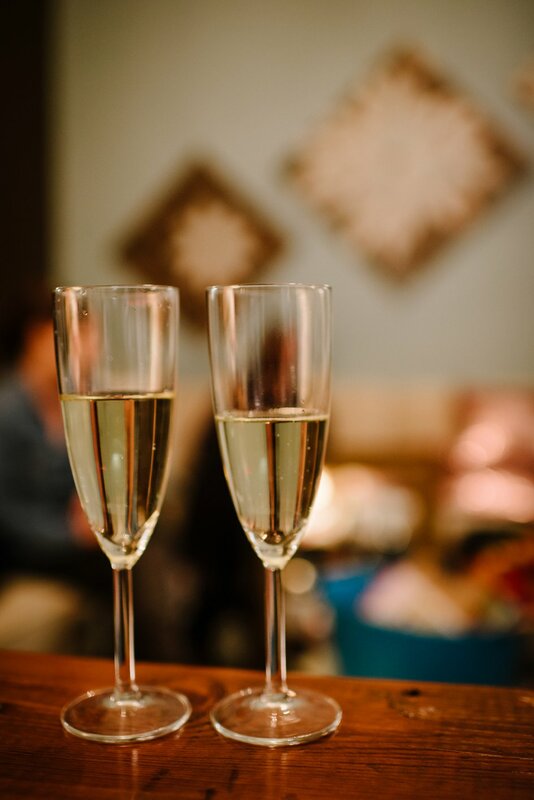 A cozy reception followed including the couple’s first dance - the same song that played when Bing proposed (“I Choose You” by Sara Bareilles). 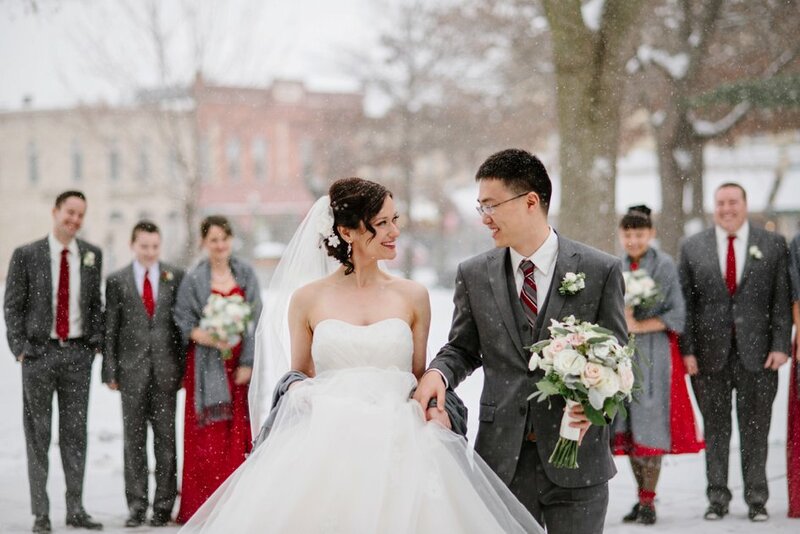 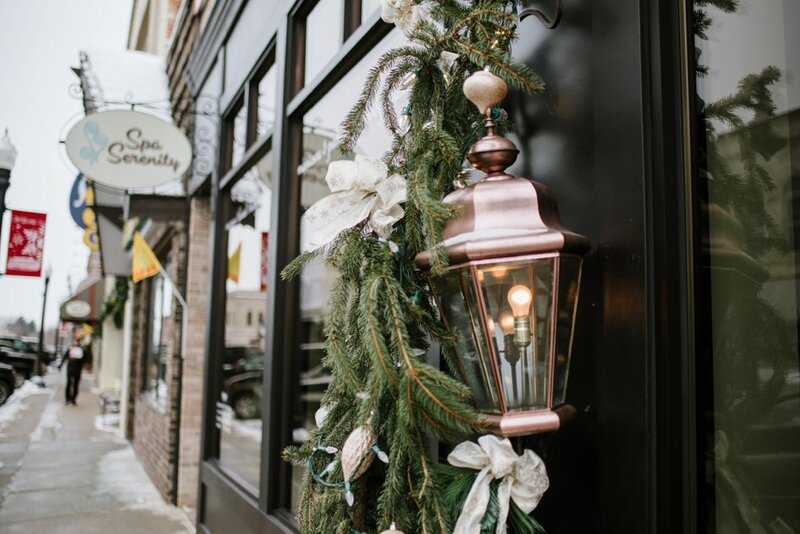 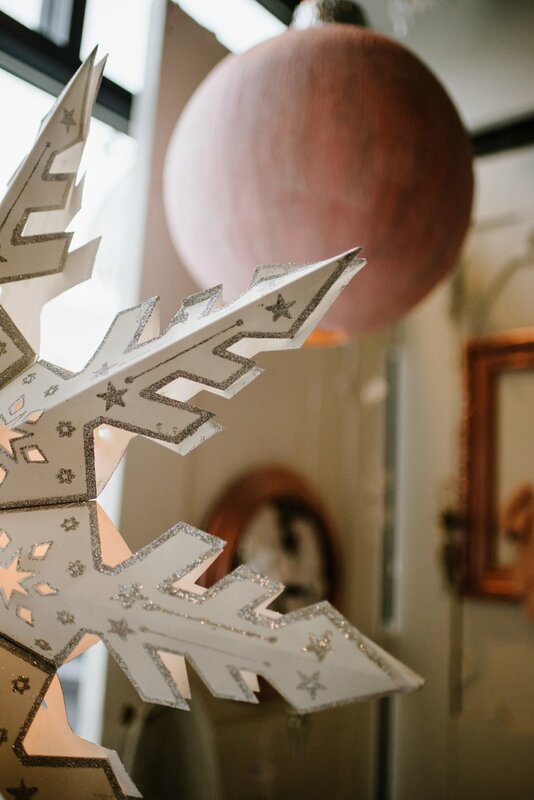 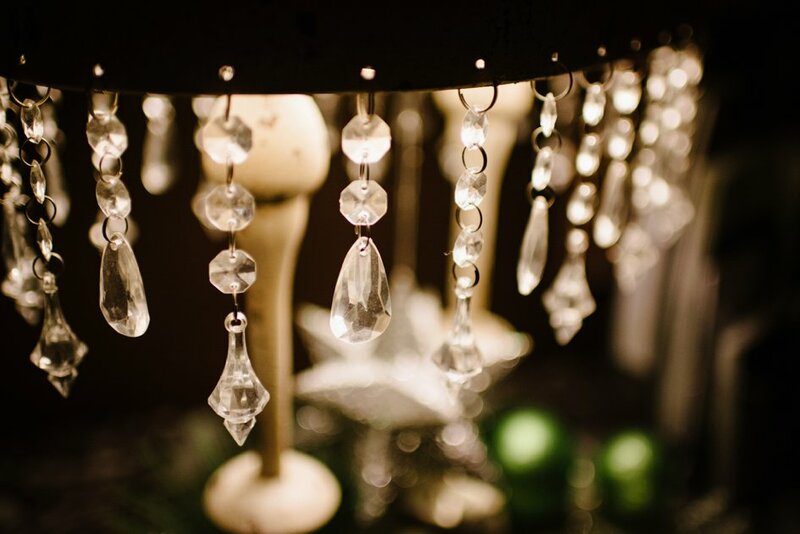 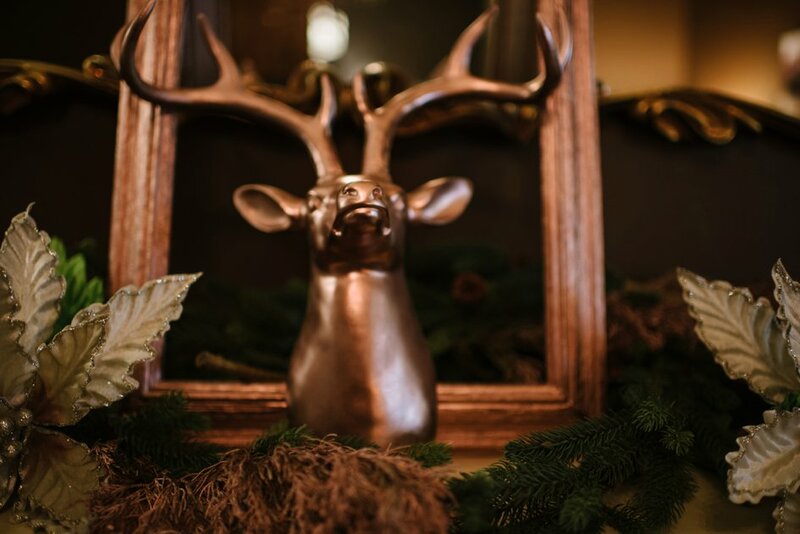 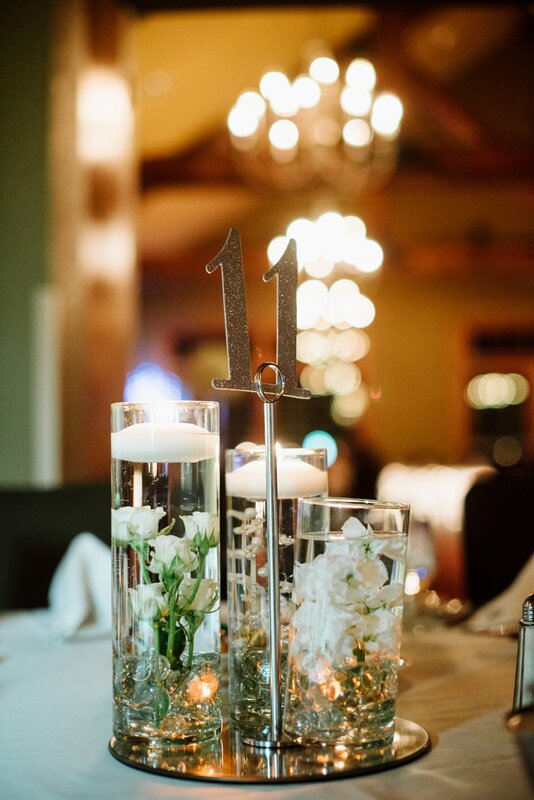 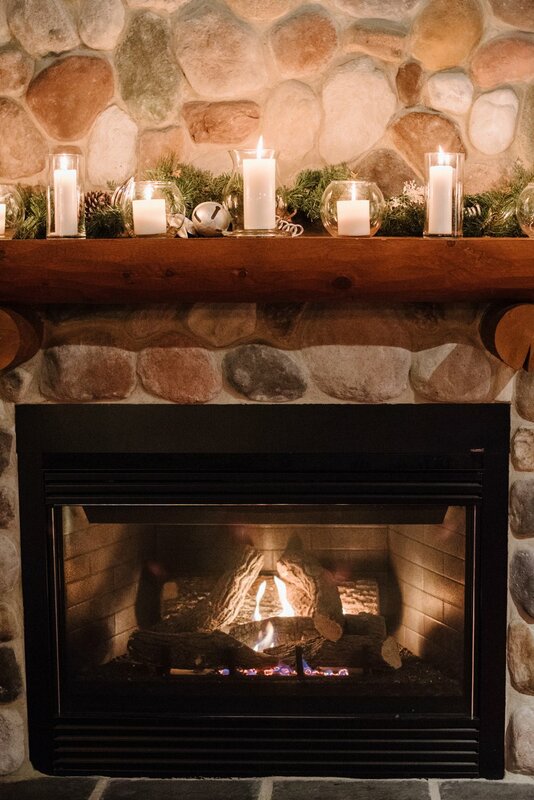 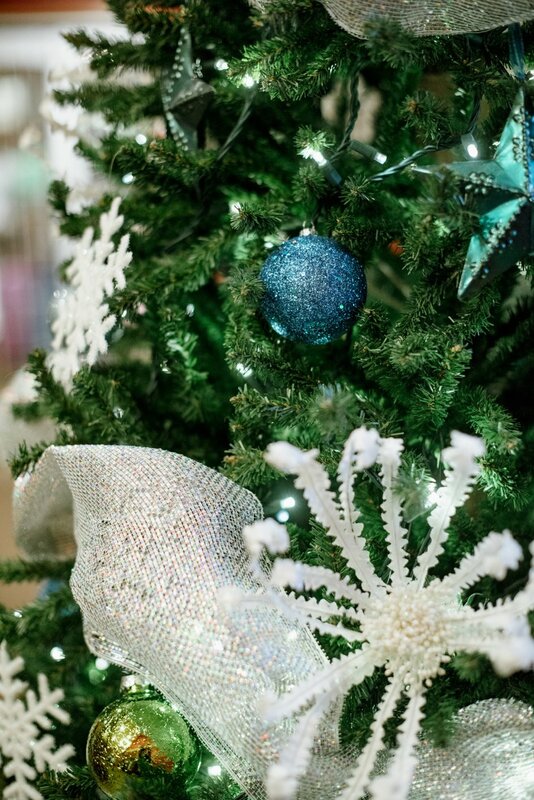 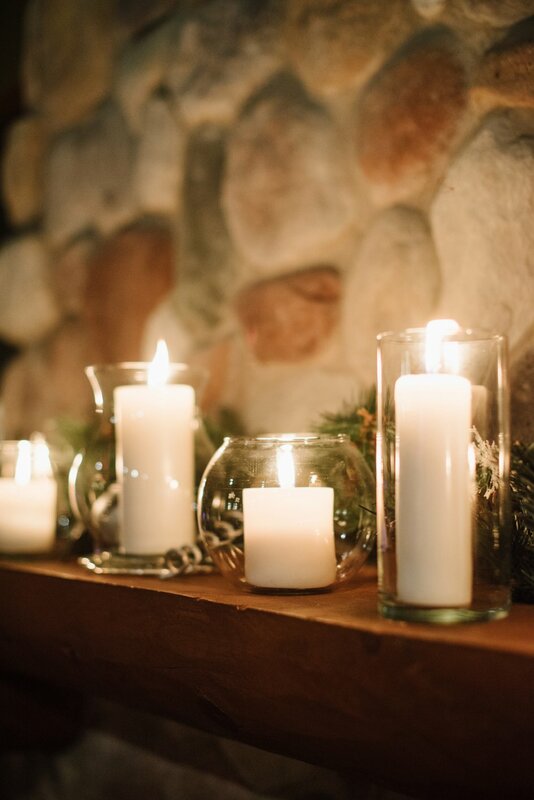 From start to finish, this winter wonderland wedding was full of flickering candles, a glowing fire, and family celebrating the start of a marriage.